With the founding of the band in March 2007 and a demonstration in live performance at the Takadanobaba AREA live house on June 5th of the same year, DaisyStripper began their band activities. Only about two weeks later, on June 18th they performed their very first real live show at shibuya O-WEST. Their first event called “咲乱ストリップ/ Sakuran strip” under their own patronage took place on August 23rd at Takadanobaba AREA once again, accompanied by the release of their first demo CD, which’s sales were limited to the number visitors of that day. On February 13th of 2009 their first Single+DVD「ダンデライオン/Dandalion」 was released, however, limited to four Like an Edison stores and was soon sold out. The second press of the CD was sold equally as well and was DaizyStripper’s first record to reach the TOP of the ORICON indies charts. One year from their founding their name echoed through all of Japan, as they took the chance to perform at AJINOMOTO Stadium for hide’s memorial event [hide memorial summit]. Although only playing three songs, they certainly reached the hearts of the well 30,000 people, who attended the event. From both Japanese and Overseas Fans they have been well recognized and praised. In June of the same year, DaisyStripper gave their first one man show at shibuya BOXX, also conducted as their 1st Anniversary event! Fans were overflowing the venue to the extent the doors did not close anymore and more than 40 journalists showed their interest in this live! Even among people outside the Visual-kei scene it became highly popular! Also, on June 11th their 2CD-BOX-Set (2nd、3rd　Single)[CROSS] had been released, still limited to a hand full Visual-kei oriented shops. Nonetheless, this release, too, made it into the ORICON indies charts and ranked 2nd all over. 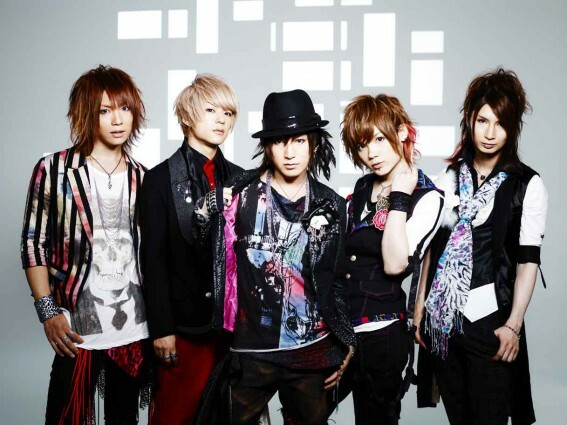 During the summer of that year DaizyStripper also made their first appearance overseas at OTAKON in Baltimore, USA. With their experience gained from outside their own country and the development it induced, they were able to leap even more into the V-ROCK world. With their one-man live at Higashi Meihan, they could put another big success to their record, just like the following release of their 4th single [TRUTH] on October 15th – it ranked No.1 within the ORICON indies charts once again. Due to popular demand, a second press of [CROSS] and the song [TRUTH] were released for sale nationwide on December 10th. With the success of their one-man show in Shibuya O-WEST in March 2009, the release of their 5th single [Dearest] and its ranking within the TOP 3 of the ORICON indies charts was well expected. From July DaisyStripper went out to play a nationwide tour, which SOLD OUT completely for all eight locations! At their TOUR FINAL which was held at Ebisu Liquid Room, they were able to capture the fans once again with all the charm they had gained with their development. Their first Mini Album was sure to follow on November 4th being titled [THE BEAUTY]. All six songs on the album certainly proved to be of high quality and originality, which was certainly pursued by the band, with their hard work being rewarded with ranking 2nd within the ORICON indies charts. On December 13th in 2009, the band had been standing on the one stage of AKASAKA BLITZ. It was the first time for them to play in front of such a large crowd adding up to a total of 1200 people and the stage was set accordingly in it’s presentation, to say the least. With their rapid development as a band, they are going to solidify their position gradually in 2010, to not be missed by anyone!